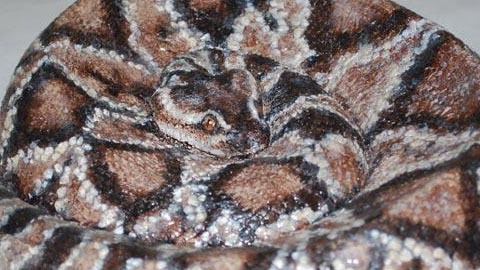 This Snake Won't Bite You... Maybe. 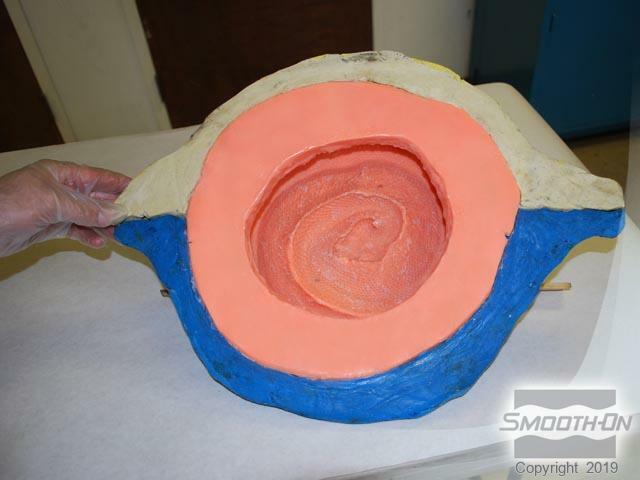 Silicone allows extreme realism, due to its translucency and ability to mimic actual flesh. On a recent job, Blair Benjamin from Rendering Realism (Niagara Falls, NY) needed to reproduce a rattlesnake for an independent film project. The piece had to be realistic enough to produce the level of detail captured by the High-Definition filming techniques used on the project and to appear 'alive' under studio lighting. Blair chose Dragon Skin™ silicone, because of it's translucent nature. A mixture of Silc Pig™ silcone pigments was used to give the casting a fleshy base color. 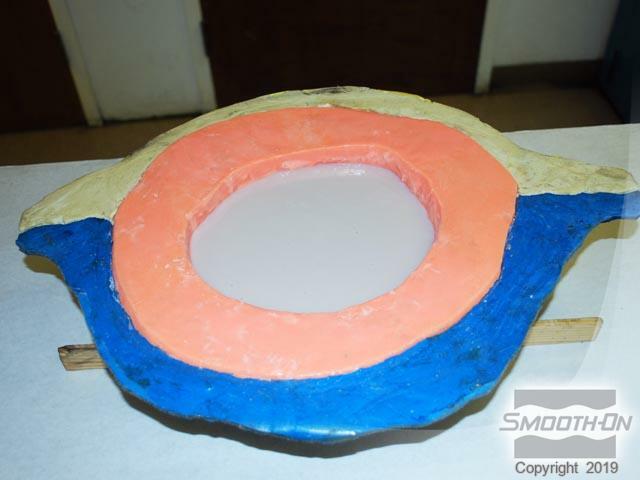 The piece was cast into a Rebound 25™ platinum silicone mold, Ease Release™ 200 was used to release the casting from the mold with a minimum of release build up. 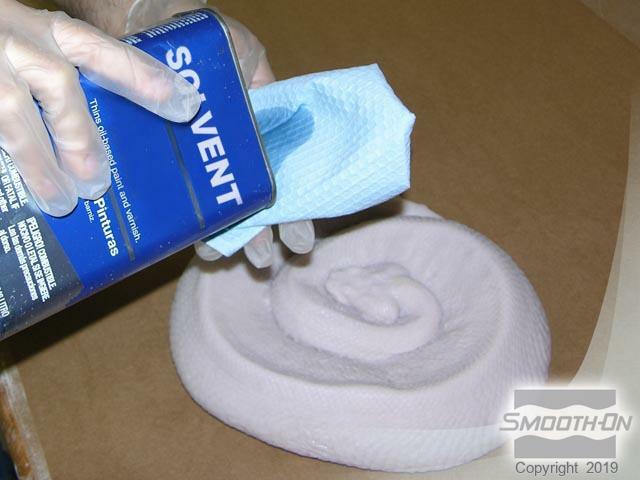 It is crucial to remove any release agent residue using a solvent to wipe down the casting. Blair demonstrates this technique as well as his unique painting style which creates a snake realistic enough to scare the neighbors! Begin with a Rebound™ 25 brush-on mold with a 2-piece support shell. 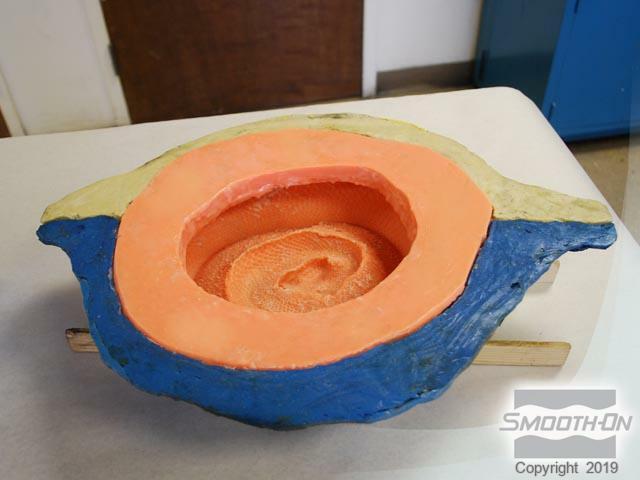 Flex the mold inside out to make applying the release agent much easier, and then spray Ease-Release® 200 evenly onto the mold surface. Due to the extreme detail of the scales in this example, the release agent was then brushed into the nooks and crannies of all the scales. The mold is then seated properly back into the support shell. Dispense Part A of Dragon Skin® into a convenient graduated clear container. Then dispense an equal volume of Part B. 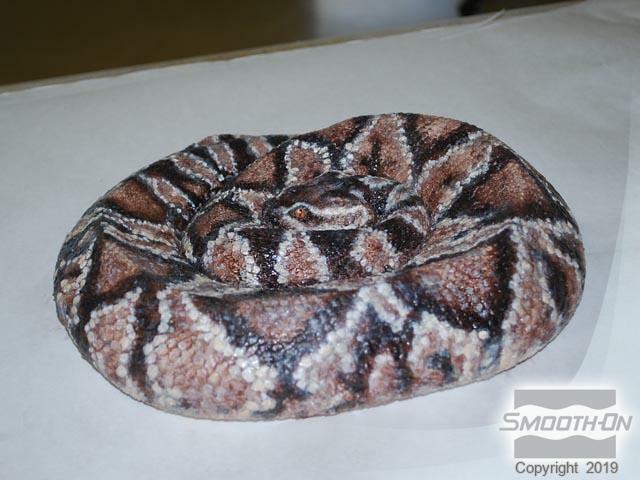 Next, combine SilcPig® color pigments to yield the desired brown tone of the rattlesnake, Pigment is pre-mixed. Then add a small amount of pigment to part B. This will base tint the rubber casting a light beige color. 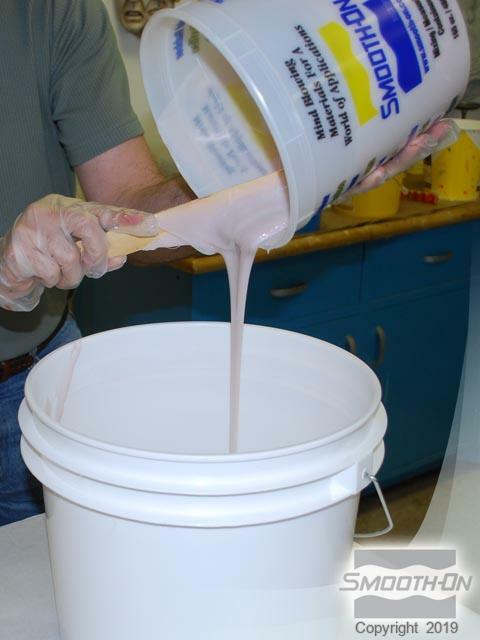 Now, Dispense Dragon Skin® Part A into a larger container for mixing and then add pigmented Part B. Mix the Dragon Skin®. 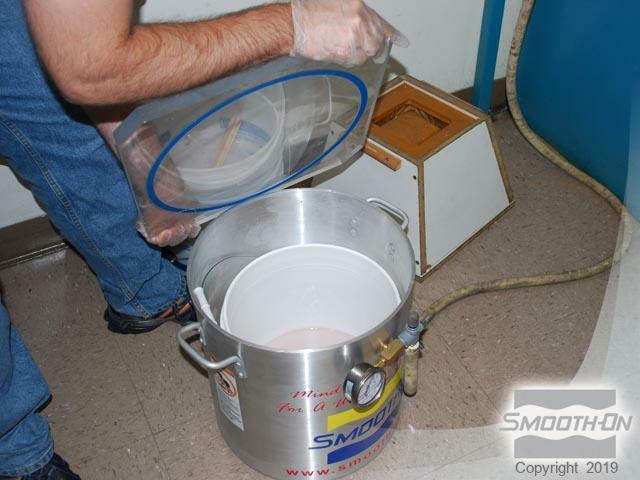 Dispense the material into a 5 gallon bucket for double mixing and vacuum degassing. Take care to scrape the sides and bottom thoroughly stir the material again. 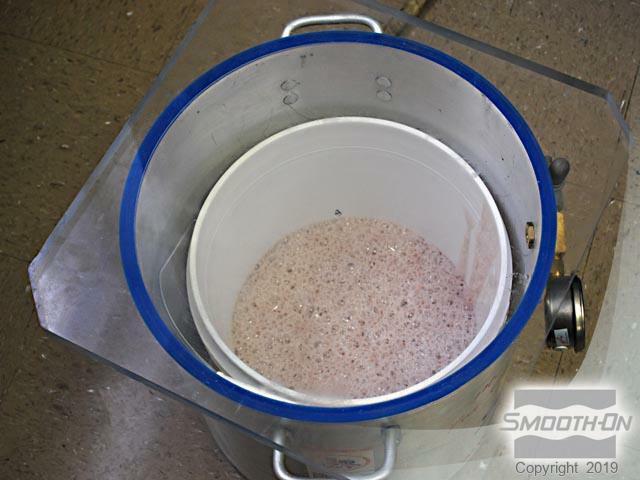 Then place the Dragon Skin® in a vacuum degass chamber. The Dragon Skin® silicone is de-aired at the proper measurement of 29 inches of mercury. After the rise and fall cycle, the rubber is ready for casting. 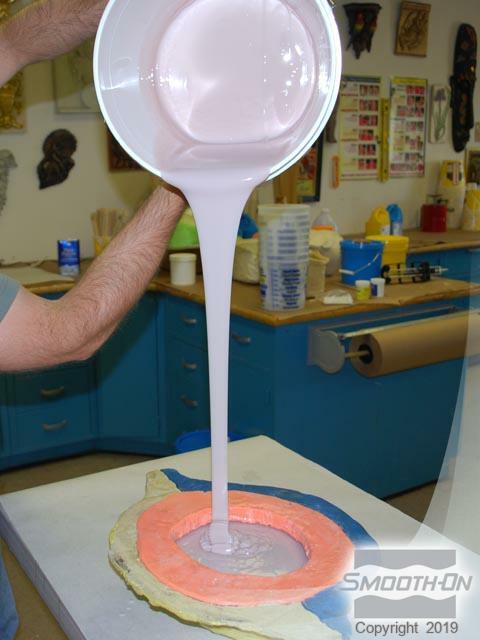 Pour the material into the mold in a thin ribbon minimizes air entrapment while dispensing into the mold. Allow the material to cure. 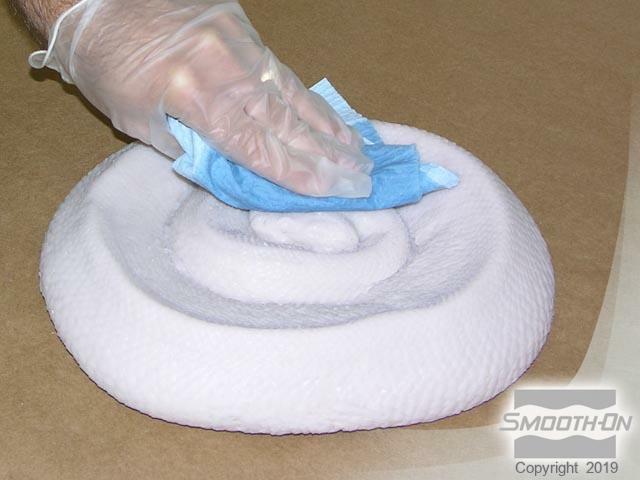 The cured Dragon Skin® lifts easily out of the Rebound® 25 mold thanks to the Ease Release® 200 release agent. The casting reflects perfect detail of the mold. 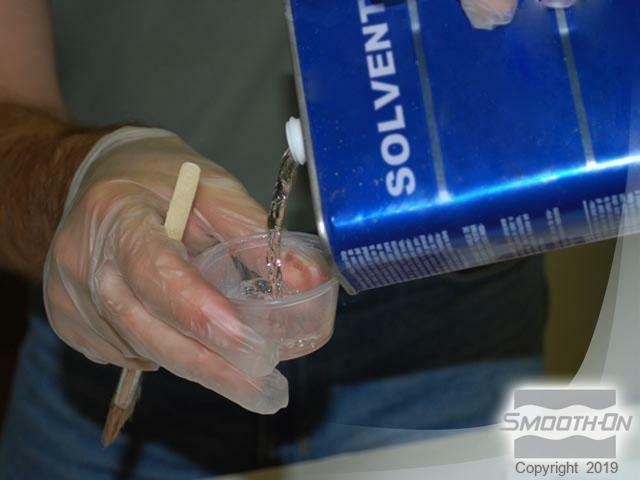 Solvent is used to remove residual release agent that may have transferred on to the casting. The surface of the casting is wiped down and solvent is allowed to fully evaporate before painting details. A small amount of Psycho Paint® Part A is dispensed. 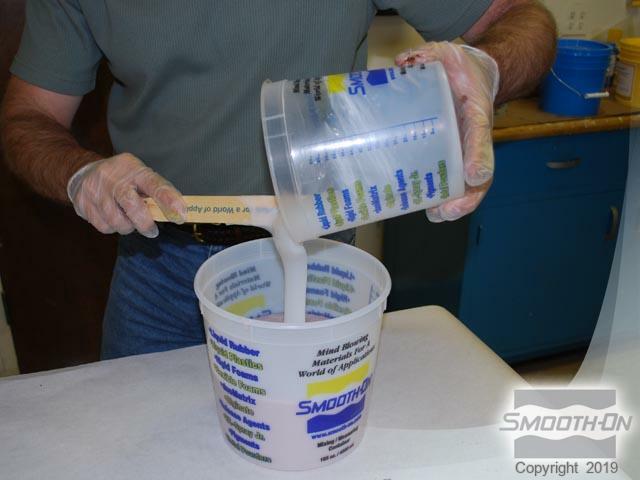 An equal volume of Part B is dispensed.Psycho Paint® is combined and mixed thoroughly. A very small amount is dispensed into another cup. 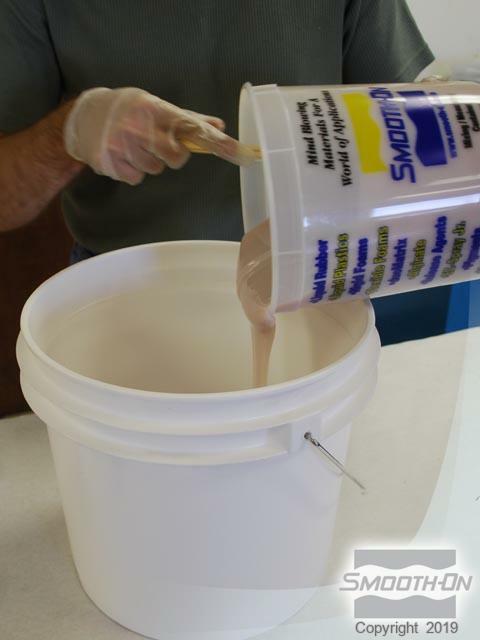 Solvent is used to thin the Psycho Paint®. 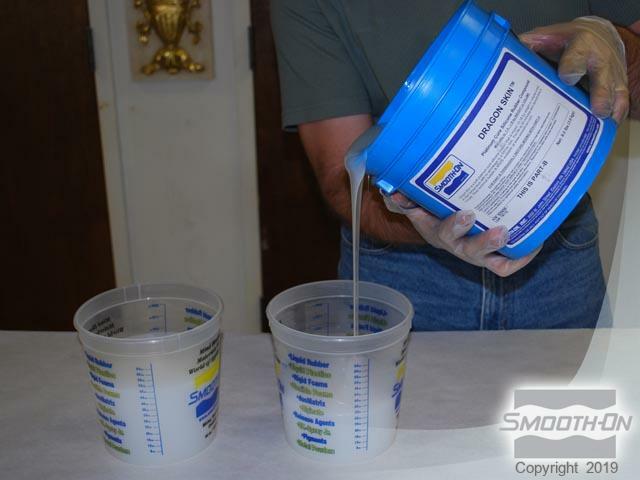 Using solvent resistant cups is necessary when working with any solvents. The Psycho Paint® is then brushed onto the surface of the Snake casting. The entire surface is covered. The thinned Psycho Paint® goes a long way so not much is required, even when applying the paint in a liberal amount. Excess is wiped off with a clean, dry cloth. This technique is very similar to staining bare wood. A small amount of Psycho Paint® is mixed with the same brown, and a touch of black Silc Pig® added. This time very little solvent is added. 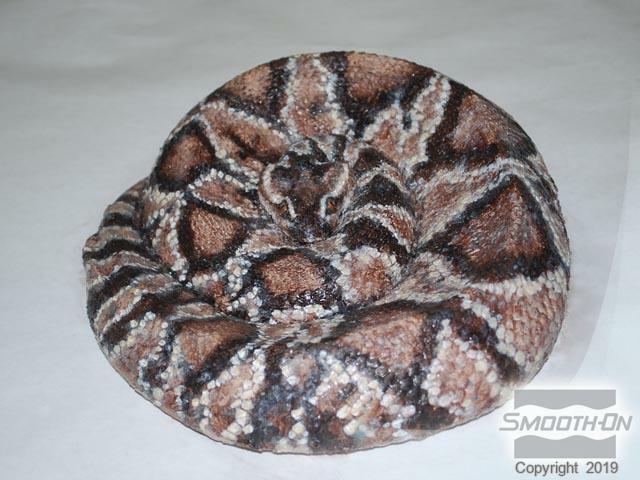 The pattern of the rattlesnake is 'mapped out' using the pigmented Psycho Paint® and an artists brush. Several layers of black, brown and white pigmented Psycho Paint® create the details that bring the rattlenake to life! The ability to achieve variations in color and opacity with silicone rubber and silicone paint, enables artists to achieve highly realistic effects. 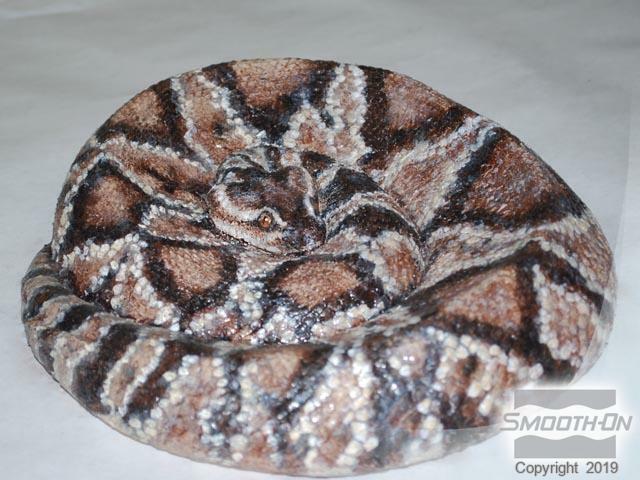 The eyes on the rattlesnake were made from Crystal Clear® 202 and Cast Magic® powders.